What if your favorite fast food chain had a smartphone made after it? That’s exactly what Huawei and KFC are doing in conjunction with the 30th year of both KFC China and Huawei’s birth. 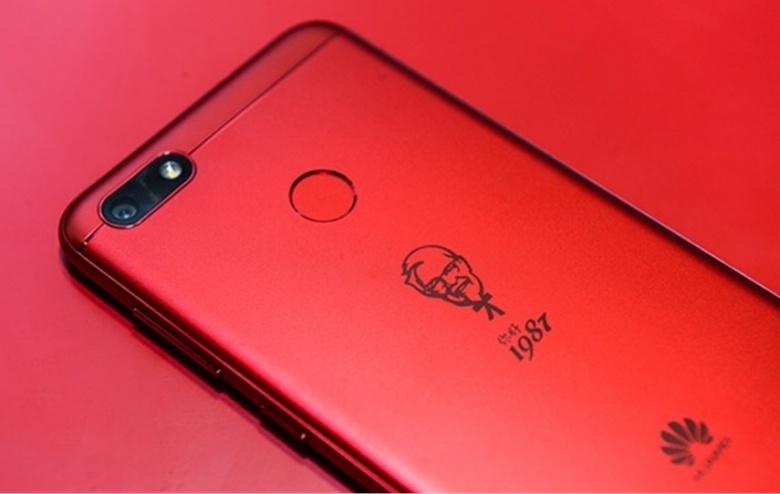 Huawei has made a new smartphone with the KFC branding on the back, marking the 30th year celebration of the fast food chain in the world’s most populated country. 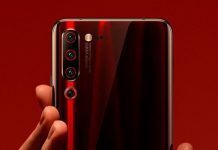 The smartphone seen in the image above is the KFC Huawei 7 Plus, which actually looks attractive in its bold red color choice, probably inspired by the background of the KFC logo. 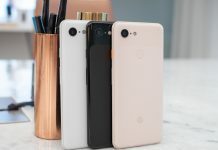 It isn’t a slouch as well, sporting a 5-inch 720p display on the front, a Snapdragon 430 processor and 3GB of RAM underneath the hood, along with 32GB of expandable storage. 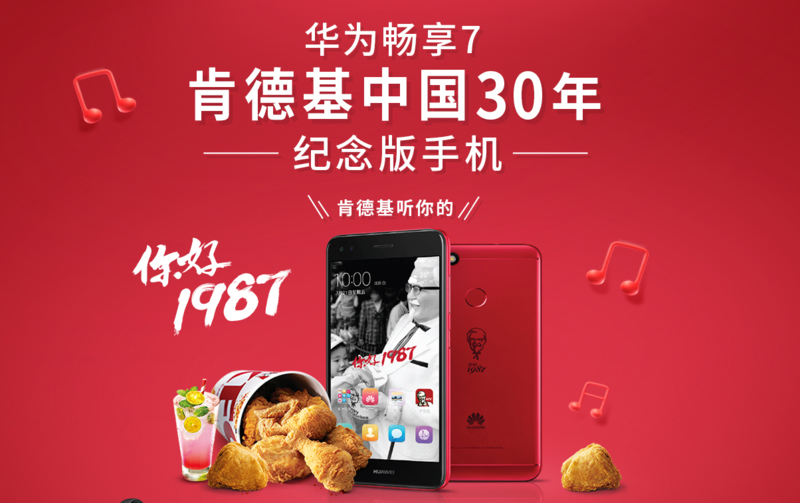 The rear panel sees a standard Colonel Sanders image printed on it with the year “1987”, followed by the Huawei logo at the bottom. 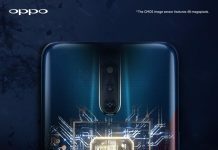 The fingerprint sensor is located on the back as well. 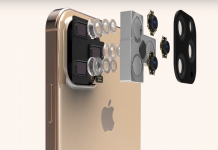 The rear camera is a standard 13 megapixel sensor, while a 5MP camera can be found on the front for selfies. Only 5,000 units of the KFC Huawei 7 Plus have been made, and it carries an affordable price tag of CNY 1,099 (RM 695.18). How does a fast food branded smartphone sound like to you? How about a McDonald’s tablet or something?